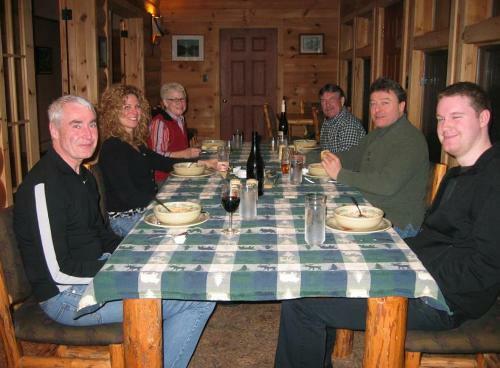 The cuisine we offer our guests is both a healthy and hearty exploration of the best the Adirondack North Country has to offer and includes a sampling of the wild and sophisticated. When combined with the friendly conversation of a small number of guests, each is the perfect beginning or ending to the day. Lunches are available as well. Tasty and imaginative, they can be packed for your convenience or expertly prepared by our Guides. Breakfast is included with all reservations. Packed lunches, supper (lighter fare) and dinner (4 courses) are an additional charge and advance notice is required. We happily accommodate guests with dietary restrictions or requests with advance notice. We do not serve alcohol, but guests are welcome to bring their own wine, beer or other beverages. Wine glasses and a bottle opener are available in the dining room.